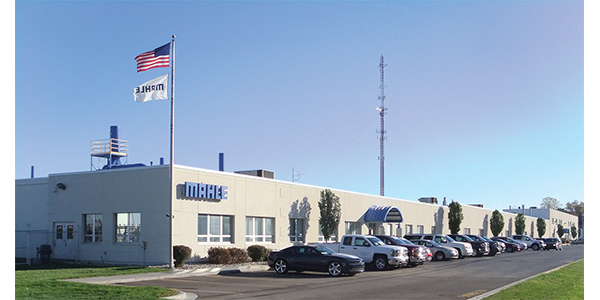 MAHLE Service Solutions is partnering with MAHLE Engine Components to relocate production from York, Pennsylvania, to a shared facility in St. Johns, Michigan. The move will take place by the end of 2019 and will help the company profit from organizational synergies and boost the development of next-generation repair shop and diagnostic equipment to provide an improved customer service experience and increased overall efficiency. MAHLE Service Solutions will assemble its PRO series of shop tool and equipment products at the facility in St. Johns, such as: ArcticPRO (including its new next generation of A/C service units), FluidPRO (fluid exchange systems) and NitroPRO (nitrogen tire inflation systems). Production is expected to begin by the end of 2019. Rich Wolf, general manager, MAHLE Service Solutions, said the decision to relocate to St. Johns was simple because it is already a well-established, Tier 1 MAHLE facility. In addition, Wolf says the move allows MAHLE Service Solutions to have its industry-­­leading brands located under one roof and gives a centralized location for efficient customer service and support.